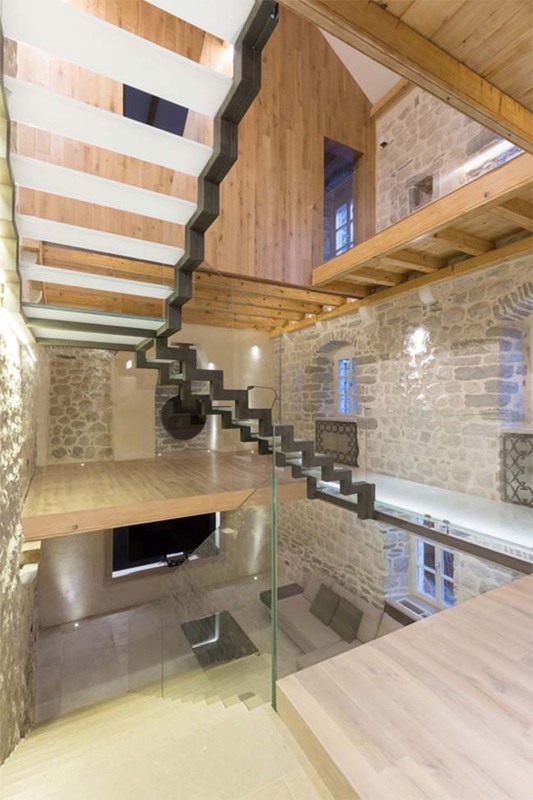 From architecture: As a witnesses of strict rules in conservation of the traditional buildings in Kotor Bay, which is Unesco protected area, we decided to avoid expected solutions and to bring contemporary approach in reviving of the internal architecture of the old stone house in Ljuta village. 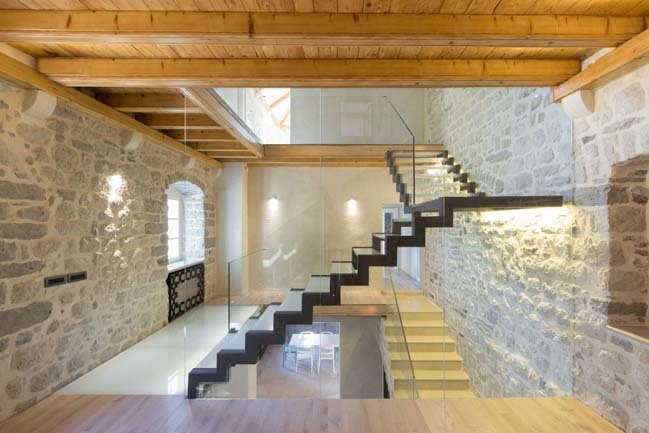 This interlacing of the traditional principles and modern needs brought a new life to the building which exist from XIX century. 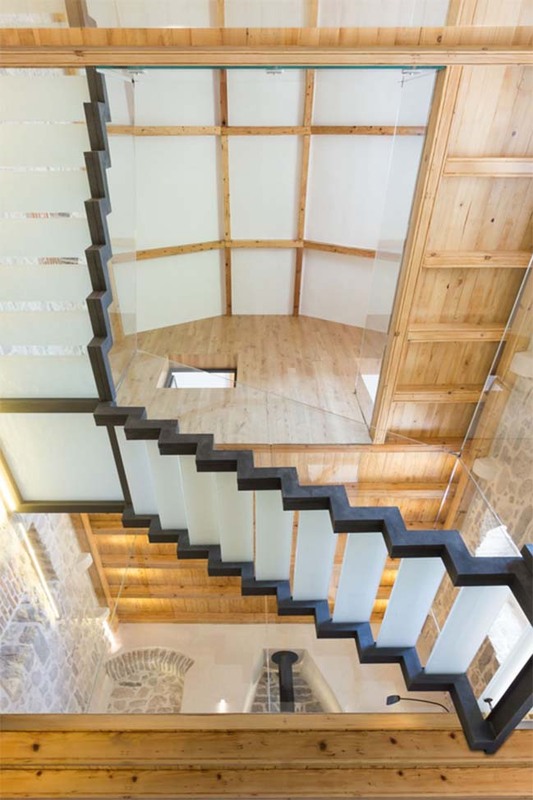 We set out to create a luxurious residence from the existing house whilst at the same time adhering to conservation conditions by making minimal interventions to the traditional, baroque features of the exterior. 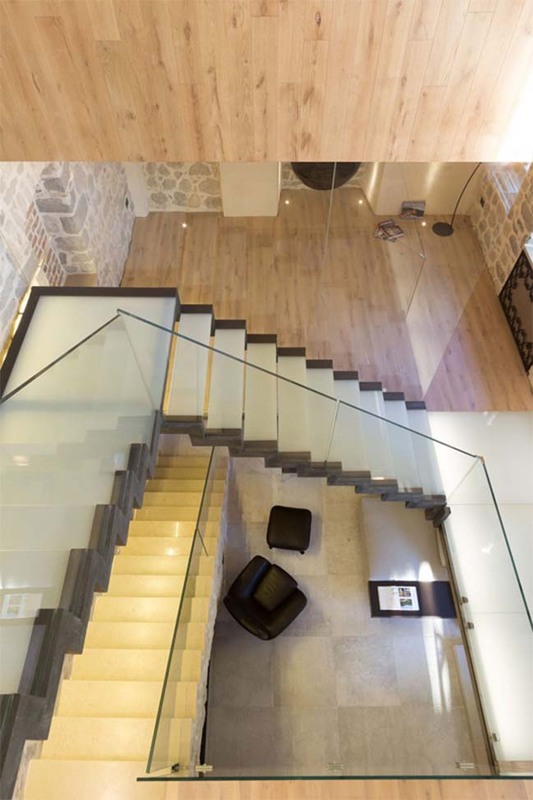 The central gallery is the fluid space that defines these zones by providing a vertical division of the left and right sides of the building as well as a visual connection of the levels. To create this effect we had to dematerialise the connections between the sides of the building (as shown in the picture?) 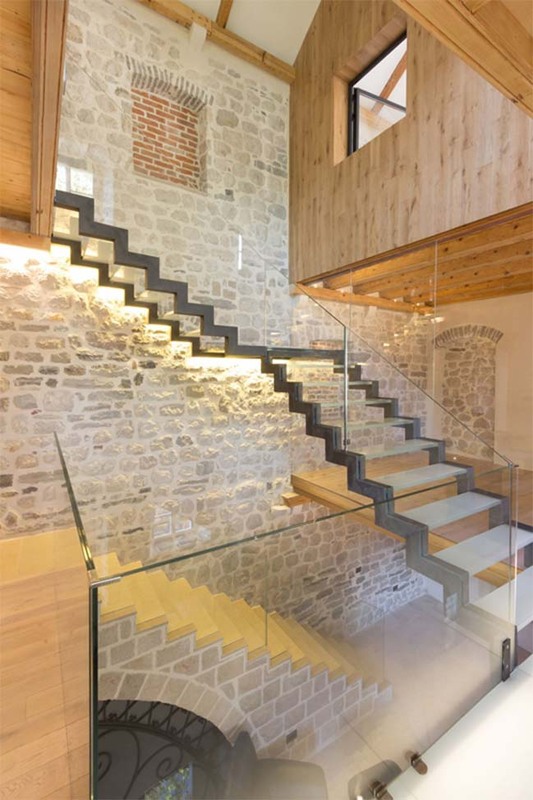 which we achieved by designing a bridge and staircase constructed from glass and steel. 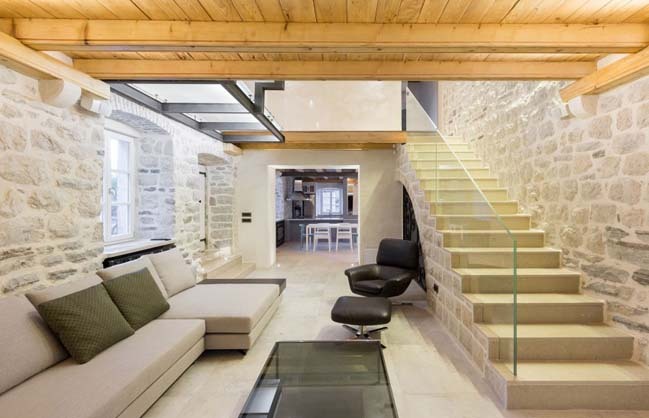 The right side of the building is functionally more complex than the sleeping area. 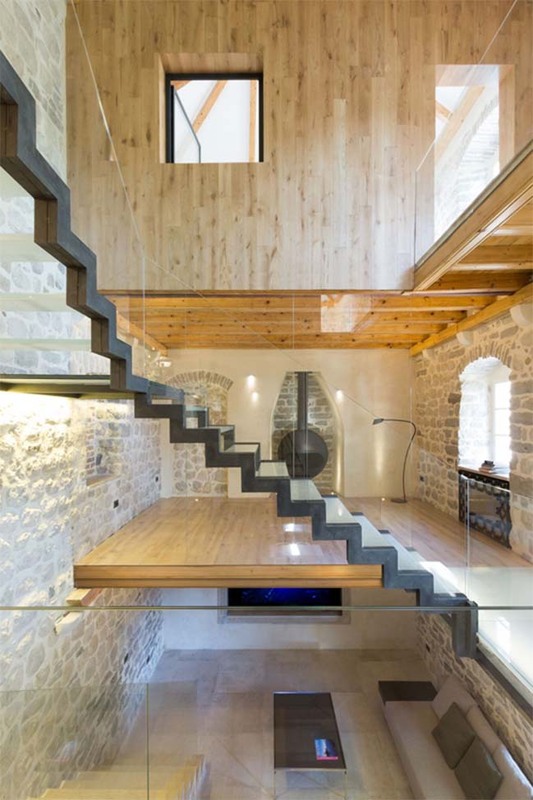 It consists of a living room on the ground floor, a fireplace area and a children’s bedroom. 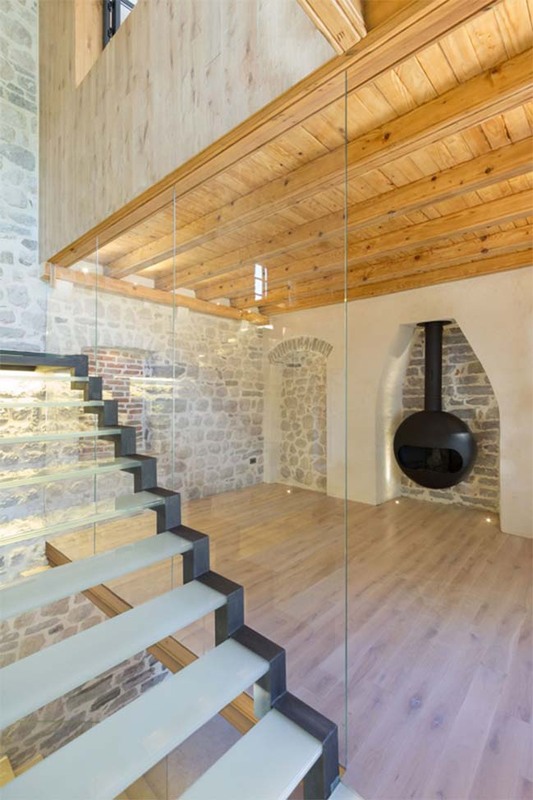 The fireplace area is linked by a glass bridge to the rest of the space with a glass partition wall to the side. The daughter’s bedroom is lined with wooden planks and is located at the very top of the house, completely separate from the other rooms. 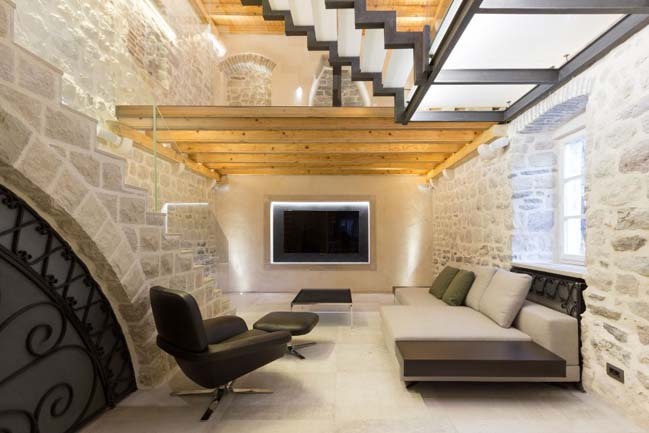 The living room and fireplace area are independent spaces while at the same time being open, visually connected parts of the whole house. In contrast the children’s room is designed as a separate home within a home drawing on the inspiration of a traditional child’s treehouse. 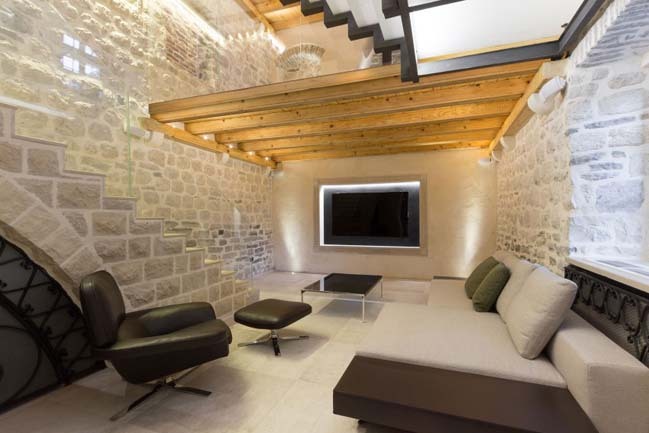 We played with modern and traditional elements and natural materials to give those in the house an opportunity to enjoy the existing ‘spirit’of an old stone building while fulfilling the aesthetic and functional requirements of a modern lifestyle. 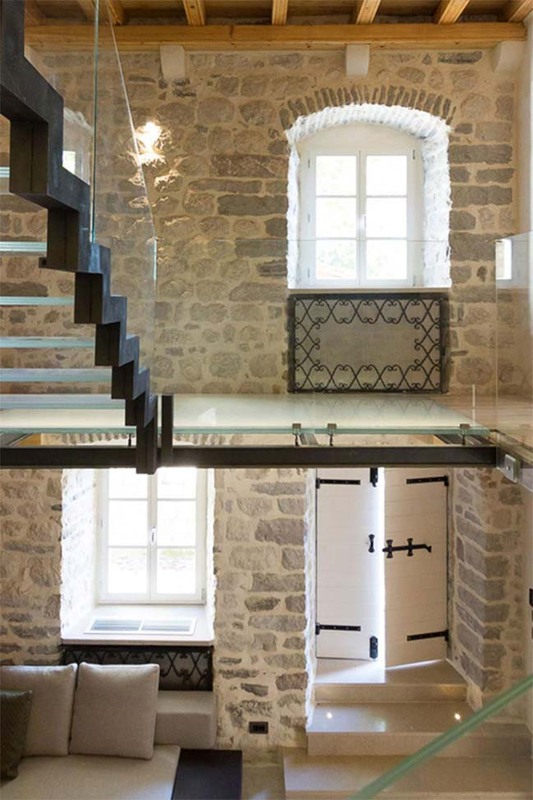 The traditional staircase on the ground floor, the wrought iron fittings and the combination of steel with stone and plaster walls were key to this.